The Rev. John Christian Frederick Heyer, M.D. 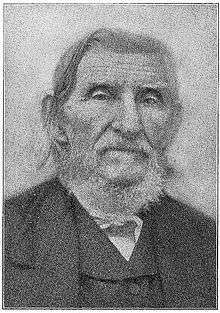 John Christian Frederick Heyer (July 10, 1793 - November 7, 1873) was the first missionary sent abroad by Lutherans in the United States. He founded the Guntur Mission in Andhra Pradesh, India. "Father Heyer" is commemorated as a missionary in the Calendar of Saints of the Lutheran Church on November 7, along with Bartholomaeus Ziegenbalg and Ludwig Ingwer Nommensen. Johann Christian Friedrich Heyer was born in Helmstedt, Lower Saxony, Prussia (now Germany), the son of Johann Heinrich Gottlieb Heyer, a prosperous furrier in Helmstedt, and wife, Fredericke Sophie Johane Wagener. After being confirmed at St. Stephen’s Church in Helmstedt, in 1807, his parent sent him away from Napoleonic Europe to reside in America  with a maternal uncle (Wagener), a furrier and hatter in Philadelphia, Pennsylvania, who specialized in the popular beaver hat. Sophia M. Heyer (born January 7, 1818 in Philadelphia, Pennsylvania; died 18 Nov. 1875 in Shelby, Richland County, Ohio). She married George Washington Houpt. Henriette Heyer (born December 17, 1823 in Somerset County, Pennsylvania) married 1) George Snyder and married 2) George Steyer. He was a teacher at Zion School, Southwark, Philadelphia from September 1813 to March 1815, when he returned to Germany for a visit. From October 1829 to November 1831, he served as agent of the "The Sunday School Union of the Evangelical Lutheran Church in the United States". In this capacity he traveled more than 3,000 miles, visiting some 300 congregations and distributing Sunday School hymnals and tracts, and assisting pastors to establish Sunday Schools. In 1829, he used his private funds, along with twenty two other stockholders (all Lutheran clergymen), to purchase the former Adams County Academy and form the Gettysburg Gymnasium, which would become Gettysburg College in 1832, at which time Heyer and his associates, through their private subscriptions, became the Patrons of Pennsylvania College at Gettysburg. Heyer was also elected to the first Board of Trustees, and was an occasional instructor at the Gymnasium. After his return to the United States in 1816, he was licensed as a lay preacher. Heyer worked as a preacher for three years until he was fully ordained in 1820. He spent the next twenty years ministering and establishing churches and Sunday schools in Pennsylvania, Maryland, New York, the mid-western States, and as far west as Missouri. He was the first pastor of the First Evangelical Lutheran Church in Pittsburgh, established in 1837, which was the earliest English-speaking Lutheran congregation west of the Allegheny Mountains. 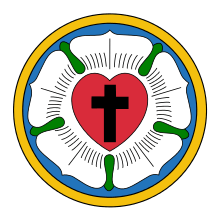 He organized The First German Evangelical-Lutheran Congregation of Pittsburgh, a German-speaking congregation, one week later, on January 22, 1837. His wife and children remained in Friedens, Somerset County, Pennsylvania where Mrs. Mary Heyer died in 1839. The following year, Heyer was asked to enter the foreign missions. He studied Sanskrit and medicine in Baltimore, and set sail for India from Boston in 1841 with three other missionary couples on the ship Brenda, Captain Ward. Returning to the United States in 1845, he continued his missionary work and established St. John’s Church in Baltimore. At the same time, he studied medicine, and obtained his M.D. from the University of Maryland School of Medicine in 1847. He traveled to India a second time in 1847, spending a decade, mainly in the Guntur district of Andhra Pradesh state, in southern India, where he ministered and performed yeoman service to the people there. Supported initially by the Pennsylvania Ministerium, and later by the Foreign Mission Board of the General Synod, Heyer was also encouraged and assisted by British government officials. He established a number of hospitals and a network of schools throughout the Guntur region. For health reasons, he returned to the United States in 1857, and spent the next decade organizing churches, particularly in the new State of Minnesota. He traveled to Germany in 1867-1868. In 1869, at the age of 77, he made his third trip to India. Heyer returned to the United States in 1871. In January 1872, he was appointed chaplain and the first " house father" of the Lutheran Theological Seminary at Philadelphia. Despite his brief time among the students, he was much respected and loved by the faculty and students. He died in 1873 at the age of eighty, and his body was buried beside his wife in the Friedens Lutheran Church cemetery, Friedens, Pennsylvania. His estate contained roughly $7,000-$500 of which he devoted to pay for his final expenses, a grave stone, and erecting an iron fence around his and his wife's graves. He left $2,500 to his children and grandchildren, with the condition that his grandchildren remain members of the Lutheran Church and abstain from alcohol and tobacco, and bequeathed the remaining $4,000 to the Somerset Lutheran congregation, the Lutheran Theological Seminary at Philadelphia, the Pennsylvania Ministerium for foreign mission work in India, and to the Passavant orphanages in Zelienople and Germantown Pennsylvania. In 1880, when a missionary society was organized by the students at the Lutheran Theological Seminary at Mount Airy, they named it the Father Heyer Missionary Society. The missionary field that Heyer founded in Guntur in 1842—together with the Rajahmundry Mission that was founded by the Rev. Luis P. Manno Valett of the North German Missionary Society in 1845—grew to become the Andhra Evangelical Lutheran Church (AELC), organized in 1927. By 2009, the congregational membership of the AELC grew to become one of the largest Lutheran churches in India, and the third largest Lutheran church in Asia, boasting a membership of about 2.5-million individuals in about 5,000 parishes. According to the President of the AELC, "The strong edifice built by the missionaries for the growth of education is still being continued by AELC. It also concentrates on diaconal works such as Establishment of Hospitals, Emancipation of Women’s Status, Rural Development Projects and Mother & Child Health Programme." C.F. Heyer’s name also is commemorated by the Father Heyer Junior College and vocational schools in Deenapur and Phirangipuram, Andhra Pradesh, India. God of grace and might, we praise thee for thy servant John Christian Frederick Heyer, whom thou didst call to preach the Gospel in the United States and in India. Raise up, we beseech thee, in this and every land, heralds and evangelists of thy kingdom, that the world may know the immeasurable riches of our Savior Jesus Christ, who liveth and reigneth with thee and the Holy Spirit, one God, now and ever. God of grace and might, we praise you for your servant John Christian Frederick Heyer, whom you called to preach the Gospel in the United States and in India. Raise up, we pray, in this and every land, heralds and evangelists of your kingdom, that the world may know the immeasurable riches of our Savior Jesus Christ, who lives and reigns with you and the Holy Spirit, one God, now and ever.